Wishbone Day: Send us your photos! Watch this video to see how our first ever -- in the history of Wishbone Day awareness days -- was spent in 2010. Can we out do this in 2011? 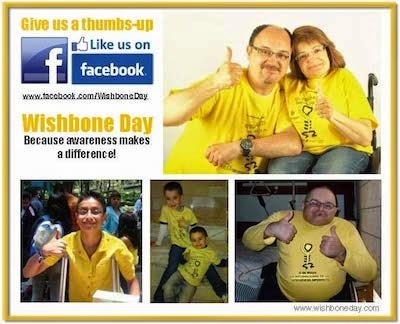 info@wishboneday.com -- you could feature in our next Wishbone Day video!